recommended for: Fans of We Were Liars by E. Lockhart, Please Don't Tell by Laura Tims, and other twisty psychological thrillers. Let's not die today. Not even to make things easier for our parents. When a building collapses around five teenagers and they just barely escape they know something strange is going on. Little by little, the group pieces together a theory: Their parents are working together to kill them all. Is it true? And if so, how did their parents come together and why? And, most importantly, how can the five of them work together to save themselves? With an unlikely group of heroes, sky-high stakes, and two budding romances, this gripping murder mystery will keep readers guessing until the last page." Remember when I reviewed The Possible and said this was the summer of thrillers? Prepare for more. And Then There Were Four riffs on Agatha Christie's famous murder mystery with a delightfully devious premise: five teenagers who realize, after a series of bizarre "accidents", that their parents and guardians may have teamed up to murder them all. For thriller lovers, it's a must-read from the premise alone, plus it features a diverse group of teens and two POVs whose highly distinct voices juxtapose nicely. 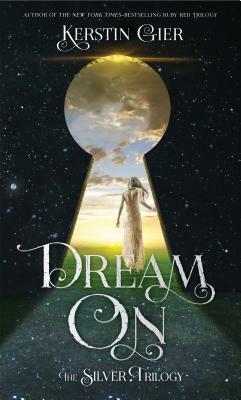 Add it to your summer beach TBR asap. My first draft of this review was more eloquent. I'll try to do it justice. ATTWF benefits most from a diverse cast of characters. I can't comment on the accuracy of the representation for many things, but from what I can tell, marginalizations were mostly rendered respectfully, used as characterization elements rather than plot devices. You have five teens who reflect the world: Saralinda, half-Latinx half-white girl who uses a cane, has Diabetes, and adorably narrates her life; Caleb, half-Latinx half-white guy with mental health issues and a broody reputation; Evangeline, Eastern Asian bisexual girl known for her wealth, sass, and fashion sense; Antoine, black Haitian Ivy League hopeful; and Kenyon, white gay girl with a viral YouTube channel. Each with their own motives, desires, and stories. The plot was pretty strong, half for the character dynamics and half for the suspense. The five teens are mostly strangers, so I loved watch them change from prickly and disdainful, thrown together by circumstances, to allies and then friends and more. Then there's the whole murder piece. The first half was especially strong, before the teens found out what was going on and were just being assailed by uncanny accidents. Once they know, some of the suspense is spoilt. But not entirely, because then they're caught in a cat-and-mouse game. I bit my nails through their cinematic escapes, near misses, and shocking tragedies. The pace dips in the middle, but finishes strong with back-to-back twists that leave you reeling. There were some elements that keep this from being a truly masterful thriller. Some of the events were a little too convenient, too unbelievable. Obviously a 2001 PC won't run as well as a new Mac--OR A NEW PC. One of the dads seemed a little too cartoon villain. But I loved trying to figure out each parent's motivations for killing their kids; it was like an extra mystery within the hunt. I will say, the mental illness rep is questionable. It didn't spoil my experience, but I also understand that not all "crazy" people are killers--not everyone knows this. And the teens call people crazy a lot. So, be warned. The writing is generally solid, no frills, but the POVs took a minute to get used to. Saralinda's POV is first person and is very rambling and gushy and you can tell her brain is working a mile a minute and that she breathes glitter in the best way. I imagine this might annoy some people. Caleb is written in second person present, which was jarring until I got into the flow. But I'm glad she didn't try to do five POVs, or it would have felt cumbersome. While ATTWF isn't a Gillian Flynn or Stephanie Kuehn psychological masterpiece, it's a fast-paced, entertaining game of cat-and-mouse with a refreshingly diverse cast and enough mystery to keep you guessing. 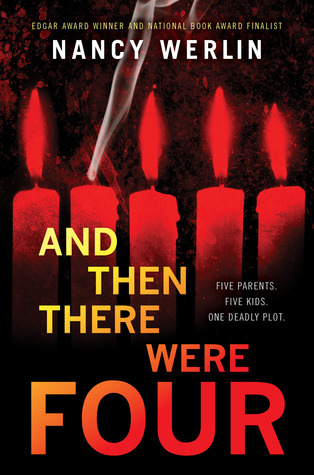 And Then There Were Four is a gritty psychological thriller with a diverse cast and delightfully twisted plot. Note: I received this copy from the author/publisher in exchange for an honest review. The price of the book and its origin in no way affected my stated opinions.